In the earlier post, we saw how boring text can be converted into interesting and high-impact slides. The only pending problem was that splitting text into words or characters needed to be done manually. That is a tedious process. Therefore, I wrote a macro to simplify this activity. Read on to find out how to download and use this macro. Here is another video in the Outlook Fields series. You will be amazed at what you can do with Combination type of fields in Outlook. Watch the video and post your comments. Tell me where you used it. Cheers. Learn how you can customize the Task folder to add information specific to your business needs and create a powerful application. No programming required. No need to talk to IT. It is just between you and Outlook. Your imagination is the limit. Enjoy! This is a common requirement. We have started some time consuming operation like adding a field to a large pivot table, or fetching data from a database, or refreshing some complex calculations. In such cases Excel seems to be unresponsive. Not only the current file is unusable, other files opened are also not editable. Things just freeze till the time and resource consuming activity finishes. Of course, that is a total waste of time. You want to do something else on another Excel file during this time. The solution is to create another instance of Excel. When you are about to start a time consuming operation, make sure no other Excel files are open. Start the operation on the file and leave it alone. Now right click on the Excel icon in the Taskbar and choose Excel (whichever version) again. This way you open an independent copy of Excel. This copy is not busy at all. Now you open other Excel files here and continue working while the other copy is executing the time consuming job. That’s it. This concept is not applicable just to Excel. The same logic applies to any application which can get busy and block you from working on other files. I have been using this for many years. I resisted writing about it for so long. But now, it is time to explain the reality. If you want full functionality of Outlook (rather Exchange Mailbox) on your Android or iPhone, use TouchDown. It is comprehensive, resilient and versatile. It implements Exchange capabilities to the fullest possible extent. Here is a quick list of what it has to offer. All types of folders are supported. Including Tasks. If you have not tried it, try it NOW. In the App Store or Google Play, there will be two versions visible: TouchDown and TouchDown HD. Most of us should use the HD version, which is designed for Android (Honeycomb/ICS/JellyBean Tablets and Smartphones). Another version is available for older Android Phones. The user interface may look dated. Nowadays, user interface “coolness” seems to be more important than functional benefits. In spite of that, you will appreciate the sheer flexibility and customizability of this product. For technical folks, this is the best implementation of Exchange Web Services. I am saddened by the fact that Microsoft’s own clients for Outlook offer a very small subset of functionality of what TouchDown offers (in spite of many acquisitions). Here is a screenshot of the advanced configuration options – just to give you a feel of the richness of this product. It offers a free trial for 30 days, after which you pay approx. 20 USD per year. In my opinion, it is absolute value for money. The only other app which has such high ROI, in my opinion, is LastPass (which is 11 USD per year) – in terms of sheer value add. Disclaimer: I have no commercial contract with TouchDown or Synamtech. I do not benefit in any way due to sales of this product. The functionality overlaps amongst Groups and Team sites (or Sites as they are called in Office 365). Here is a quick explanation of which one to use when and why. Groups is the new way of working together efficiently. 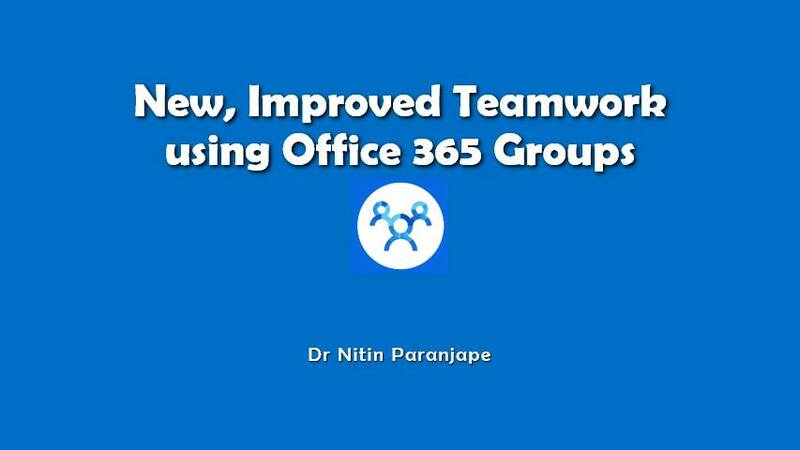 Here are all the articles I have written about Office 365 Groups. The first step in using Groups is to educate all the team members about it. That is why I created a short and simple video to explain the concept and its benefits. 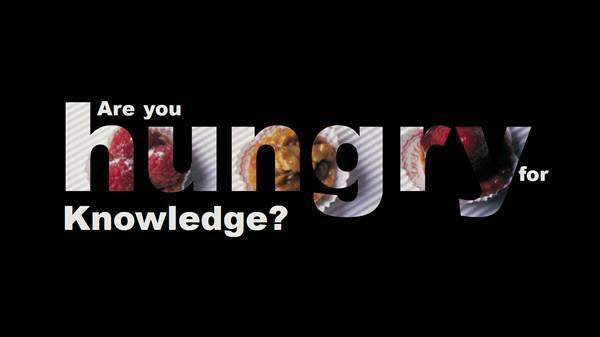 Have a look and share it with your team members. 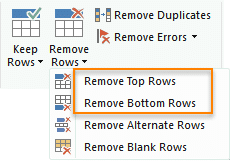 Here is a quick post to show the practical scenario when the Remove Top and Bottom Rows options are useful while cleaning up data using Power Query. Often we get CSV files which have tabular data. Sometimes, there is a title, blank rows and some other related but unwanted data just above the useful tabular data. In such cases, we use the Remove Top Rows option. If you get data from web pages (HTLM tables), the header row is repeated at the bottom. This option helps you remove the unwanted row. Another common issue is that many reports dump data with a grand total at the bottom. Remove Bottom Rows option is also usefu in these cases. It is quite possible that we focus on the top few rows while cleaning up data. It is equally important to import the data and look at the bottom rows. The bottom part of the data can have many issues which often go unnoticed and may even generate inaccurate results.